Are you looking for an effective way to help the homeless of Los Angeles? With so many organizations out there, which one would you support? 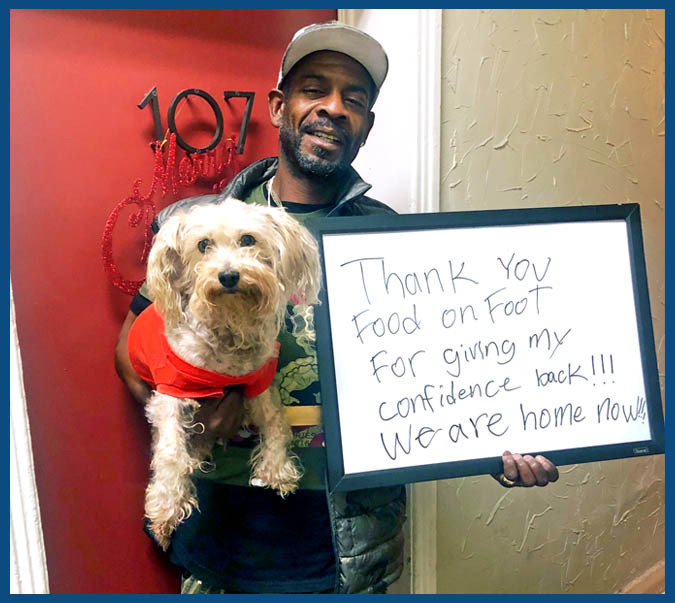 Whereas many organizations focus primarily on housing, Food on Foot first targets one of the underlying hurdles that many homeless face – low self-esteem – and then builds upon that foundation through education, job-placements, and empowerment. As a result, 85% of Food on Foot’s graduates still remain employed one year later. 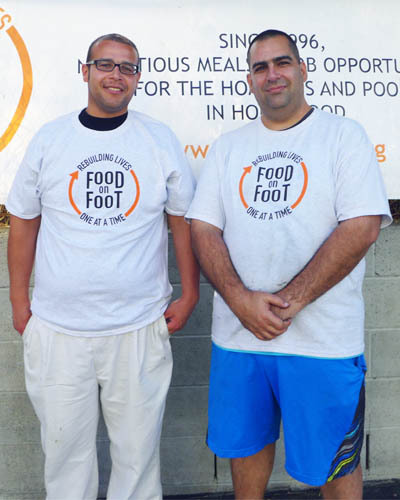 Food on Foot is a nonprofit organization that does not accept government funds. This means that kind-hearted supporters like you are the driving force in helping the homeless earn their way off the streets with skills, jobs and confidence. Join the $98 Club to Make the Biggest Impact! When you join the $98 Club, you help fund Food on Foot’s Work for Food program. Your generous monthly contribution of $98 provides the tools, resources and education the homeless desperately need in order to leave the streets and take control of their lives. The top participants in the Work for Food program receive a full-time job and an apartment they can afford with that job. We make sure the homeless people you help receive the same high-quality care on the job as they receive while in the program. And when our employers care, our clients succeed! • In February, 2017, Patrick G., age 61, became “employee of the month” at Ocean Prime Restaurant in Beverly Hills. • At age 56, Lee D. (pictured to the right) started out as a busboy at Tender Greens. Two years later, he was promoted as a manager. He currently holds this proud position in the Studio City location. The homeless whom you help gain an empowering education which they can utilize for years to come. This includes job interview training, computer training, and strengthening public speaking skills. Each week, the homeless people in the Work for Food program are assigned a cleaning route where they pick up trash and debris from the streets of Hollywood. By taking on responsibilities, these participants develop a strong work-ethic while showing discipline and perseverance. Every homeless participant in the Work for Food program receives one-on-one and group sessions with the Program Director (a licensed clinical therapist). The homeless client’s confidence and inner trust is strengthened as they learn how to set and achieve their goals. 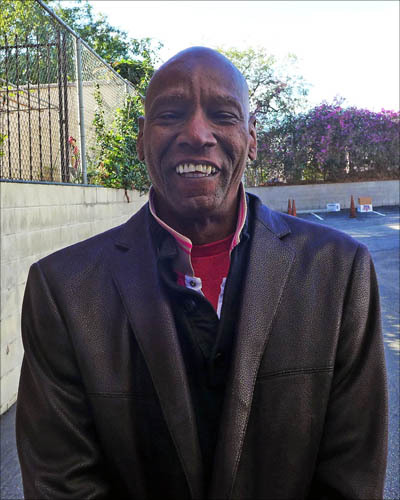 Our homeless clients learn to give back by helping others in the community through random acts of kindness. In fact, each of our participants must perform a random act of kindness in order to enter the Work for Food program each week. This way, our clients learn that giving back is more powerful than receiving. Change a Life: Join the $98 Club! The homeless need YOUR help! There’s over 57,000 homeless people living in Los Angeles county, and the situation is getting worse. Your incredible Club membership can help more homeless people receive the second chance they so desperately deserve. Please join the $98 Club today and help the homeless people of Los Angeles earn their way off the streets with skills, jobs, and confidence!